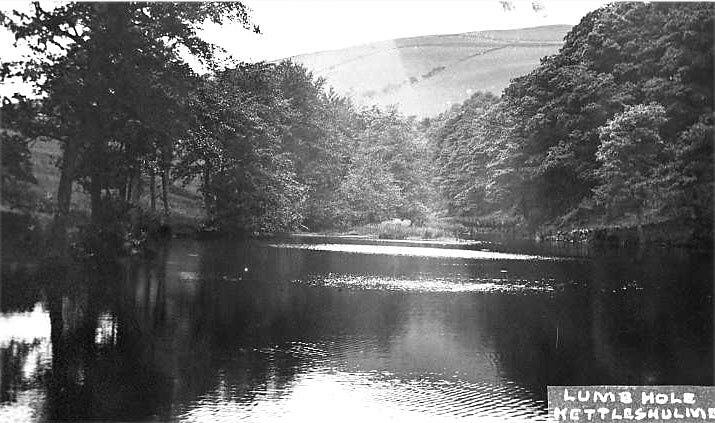 The photo id for this photograph is 516, in the Kettleshulme album. This is a photo of the top pool. Just out of sight on the left there is a boat house and a punt which was taken out now and again by the lads of the village. I would like to add, when we were out on the punt, it rarely got put back in the shed as Miss Sheldon usually turned up with her shotgun. We were scared to death of the Sheldon sisters. Always kept a wary eye out when in the vicinity.